Turnkey Websites – as low as $795! Do you just want to get your business online NOW? 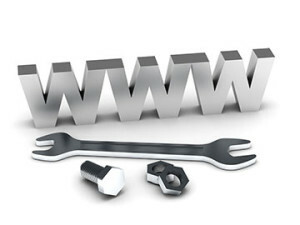 We know that not everyone is a web designer, web developer or even knows much ABOUT what should be on a website. We have built so many sites over the years, that it’s highly likely that we’ve already built a site for a similar business – and we know what you need on your site. Give us a little freedom to create and we can get your website up and running fast! You will have the option to make modifications to the site within the boundaries below, but we will use industry best practices to get you found on the web, display properly across the popular browsers and overall – work RIGHT! Media Monkey Mind offers turnkey designs to meet your needs for as low as $795. Our turnkey designs come in 10 different layouts that will work for any company. * Turnkey websites must be paid in advance either via PayPal, check or cash. Media Monkey Mind can normally turn these sites out in 5 days – rush service available! If you need a site in 1 day, ask us about it!These are the most affordable for our customers and provide a great framework for future expansion. Many small businesses need to start with something simple – and it’s great if the same site can be built up into a major presence on an as-needed basis! Starting small and adding on pages as needed is sometimes the way to build up a great website presence. With the exclusive Media Monkey Minds’ turnkey framework, specific items can be added later (or at the same time) on an a la carte basis. Items that may be added include picture galleries, custom logo design, custom contact forms, store modules, major Search engine optimization including full analysis and keyword lists, additional pages for SEO purposes targeting different areas/markets, graphics work, flash designs, etc. Contact us for more information and prices.